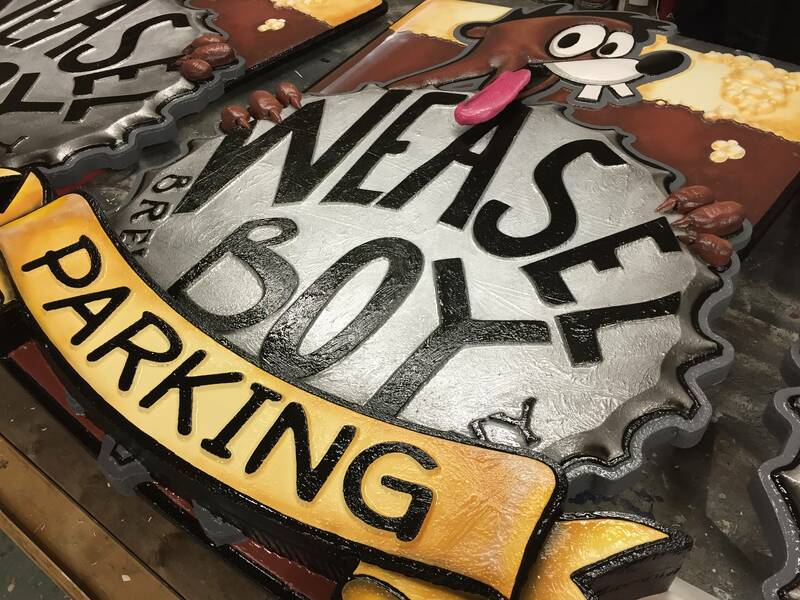 Xpressive Graphix, a sign and display design group out of Zanesville, Ohio, recently got the chance to go hog wild on a job: Creating a massive, ten foot tall yellow pig display! Rittberger’s North Market needed an eye-catching installation that would promote their brand and bring in traffic from the busy main street. They approached the Xpressive Graphix team, who started putting together a memorable design. Over the course of the project, the team proved that Precision Board is perfect for a multi-material display– It’s versatile enough to work in tandem with other materials for a unique final product. Don’t forget to check out some of the other projects Xpressive has done with Precision Board, and take a look at their website here. Step One: The pigpen. The team decided to go with concrete poured over a steel frame for reinforcement, a good choice for long-term durability. 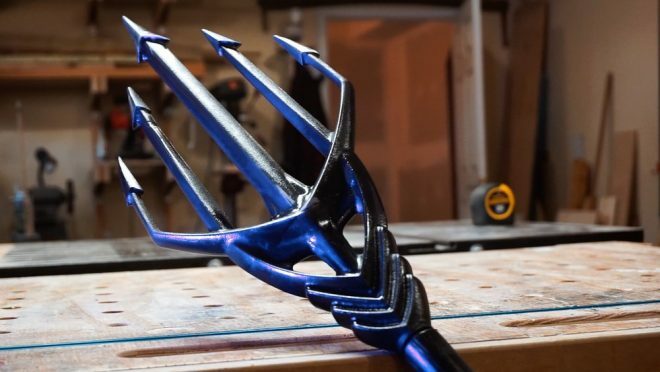 Since they didn’t own an industrial welder prior to this job, they had to buy one to weld the frame together. Plus, they had to learn how to use it! That’s what we call “on the job training”. Once the pigpen was assembled, they hand-painted it with PPG Sun Proof exterior latex paint in a deep brown shade, mimicking the appearance of weather-worn wood. Step Two: After the pigpen came the star of the show: the big yellow pig. 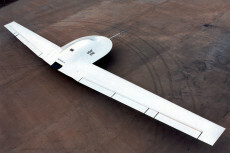 It needed to be lightweight enough to stand securely, but still be able to resist harsh weather and other environmental damages. Xpressive decided to use ultra-lightweight EPS foam, hand-sculpted into shape and coated with fiberglass resin for protection. Since the pig towered at six feet tall, even the lightest-weight Precision Board would have made it too heavy to stand. After coating, the team sanded it down, used Bondo putty for smoothing, and used PPG Sun Proof to paint the big pig. 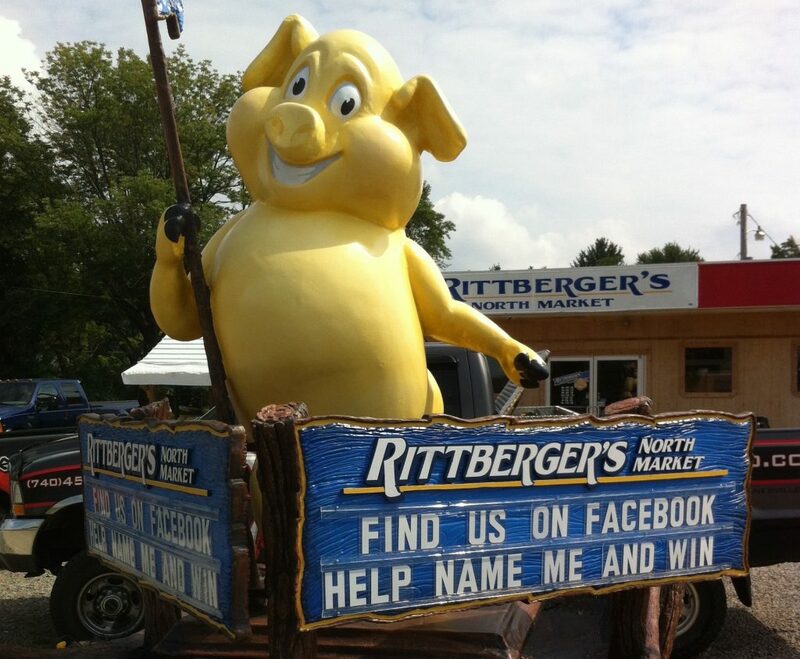 Step Three: Next up were the “Rittberger’s North Market” signs, to be mounted on the sides of the pigpen. 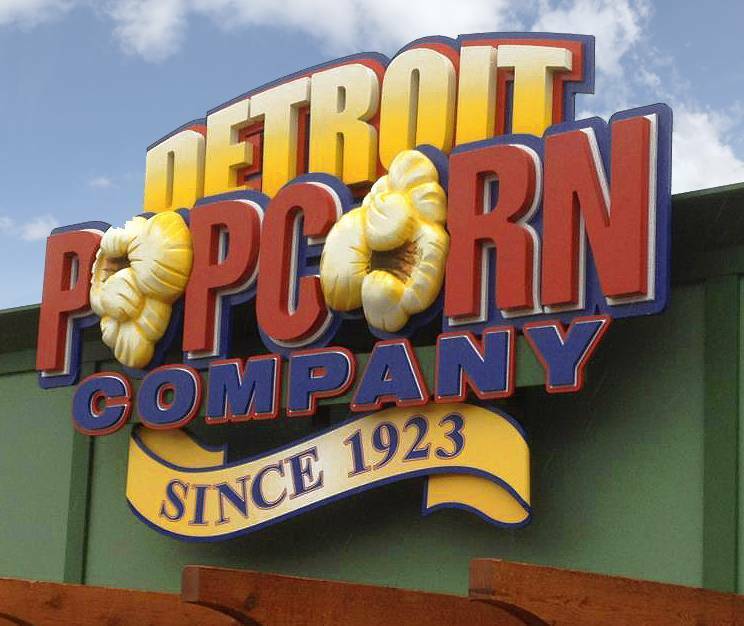 The crew used PBLT-15 for the twin signs, a good choice for outdoor dimensional signage. 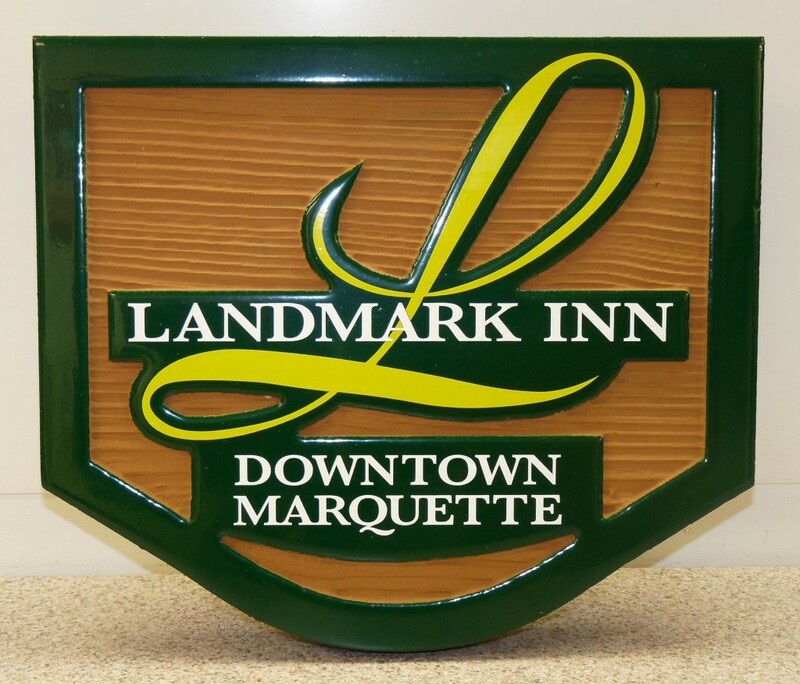 The signs were hand-carved to shape with a hand-held router and dye grinder. 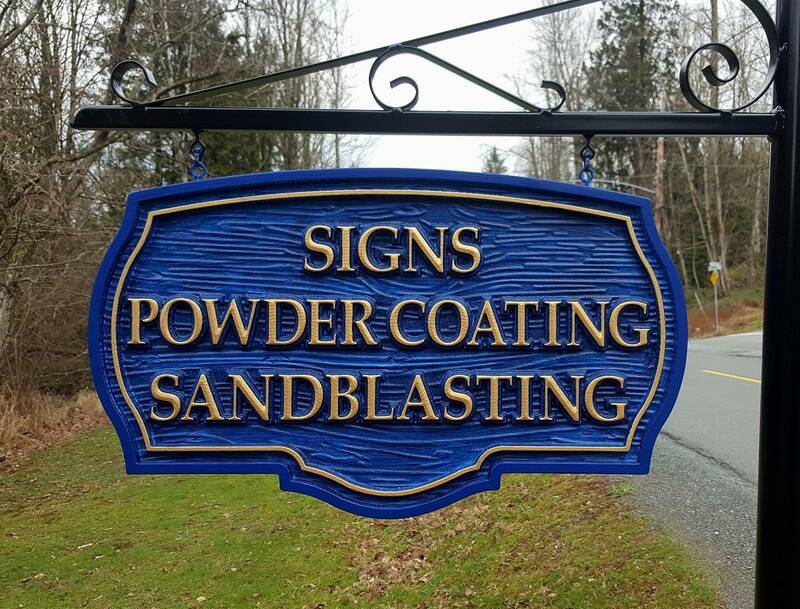 They used our FSC-88 WB primer to coat the signs prior to painting with a vibrant blue and yellow color scheme. Slots were added for variable lettering so the sign’s text could be changed as needed. This shows how Precision Board can fit in with a multi-material project– It’s versatile enough to complement other materials, and make for a varied and professional final product. Step Four: Finally, it was time for assembly. The entire display was huge– So large that it needed to be transported in separate components by two large trucks, then assembled onsite. The Xpressive Graphix convoy rolled out with the pig in a pickup truck and the pigpen and signs on a large flatbed. Step Five: When the different components arrived at the market, it was a simple matter of putting it all together. Metal slats on the pigpen’s frame were bolted to the cement, securing the display. The Precision Board signs were already installed on the pigpen, so the big pig was bolted to the rest of the pigpen. Finally, the team added soil and potted plants to the recess of the pigpen display, giving the entire installation a natural flair. The entire installation stood at about ten feet tall, easily visible from the street and surrounding area. This was a complicated, labor-intensive project, but Xpressive Graphix pulled it off with no sweat. The final result is highly professional and well designed, but also has some playful, personalized appeal. Don’t forget to check out the Xpressive Graphix website to see their other projects and commission a design of your own, or give them a call at (740) 452-6804.